British concern at the growing success of the Irish-American campaign to persuade US state legislatures to adopt the MacBride Principles on fair employment in Northern Ireland is charted in confidential 1987 files released today in Belfast. 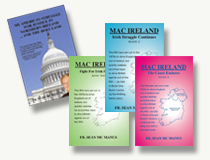 The MacBride Principles were linked to the former Irish minister, jurist and Nobel Prize winner Seán MacBride, who had promoted them at the New York state legislature. The principles included increasing the representation of individuals from under-represented religious groups in the workforce, the banning of provocative religious or political emblems from the workplace and the establishment of procedures to assess, identify and recruit minority employees with potential for advancement. In May 1987, representatives of Irish-American organisations, led by John C Dearie, met with New York comptroller Edmund Regan to discuss incorporating the MacBride Principles in the New York state pension funds of US companies doing business in Northern Ireland. A month later, on June 10th, 1987, James Mellon, director of trade and investment at the British consulate in New York, wrote to Philadelphia mayor Wilson Goode to protest against the city council’s vote to pass a Bill endorsing “MacBride”. The Philadelphia Bill, he told the mayor, would result in disinvestment in Northern Ireland. It was especially disappointing that “Philadelphia, the home of the US constitution” should have taken this course. 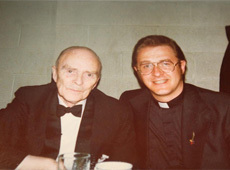 Writing to Northern Ireland Office officials on June 23rd, 1987, Stephen J Leach said secretary of state Tom King was due to meet Mellon in London to discuss the MacBride campaign in the US. Andrew Henderson, a diplomat, had been appointed exclusively “to lobby against MacBride at the New York consulate”, he wrote. Leach informed King that of the four states in the New York district, MacBride legislation was operating in Connecticut and New York. In New Jersey the Bill had been passed, awaiting only the signature of the governor. This left Pennsylvania. Elsewhere, there was a move to introduce a Bill in Congress and the House of Representatives, as well as similar “MacBride Bills” in states including California, Illinois and Florida.